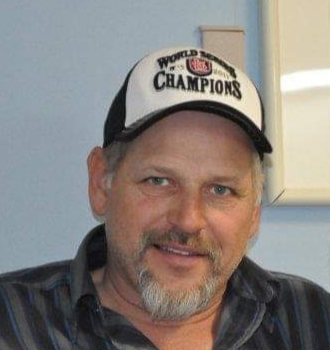 James (Jim) Alan Wright, age 60, died suddenly at his home in Newport News VA on October 14, 2018. Born August 29, 1958, Jim was preceded in death by his parents, L. Paul and Betty (Stroup) Wright, brothers Steven and Mike, sister Nancy, nephews Jacob Wright and T.D. Wright, and one cow (unnamed) who was killed during the Great Cattle Stampede of 1996. Jim was a devoted father to his children, James (Tabitha) Wright, Aaron Wright, and Amber (John) Lawson. He served as a little league coach for all three, a Boy Scout Leader for his sons, and as a Girl Scout Troop Leader for his daughter when they were young. As much as Jim loved his children and their spouses, he loved his grandchildren more. He adored Kaitlyn and Lauryn Wright, Johnathyn, Jaycee, and Sawyer Lawson. He was excited about becoming a great-grandfather. Jim, a loyal brother, whose handyman skills will be sorely missed, is survived by siblings Gloria Hamilton (Susan Britt), Paul (Linda) Wright, Camille Wright Miller (Ed Daley), Bob Wright, Julie (Wright) Eslick, Betty (Don) Nicoson, Jackie Waltermire, and Tom (Kim) Wright. His dozens of nieces and nephews will miss his hugs and laughs. Jim leaves behind special friend, Tammy Bell, and her extended family. He is also survived by former wife, Karen Sickles Fleener. A graduate of South Vigo High, Jim was a long-standing member of the Sheet Metal Workers International Association, Local 20. He believed strongly in the power of unions. So much so that, had we known that Jim was going to relinquish his retirement status, we would have asked Heaven to call a strike. Jim would never have broken the picket line. He was the gifted story teller in our family. We all loved leaning forward, into the stories he told about us, about himself, and about his keen observations of the world. At the end of time together, Jim would respond to an “I love you” offered by a family member with “Love you more.” It is with sadness that we get to have the last words, “No, we love you most.” The world is a less welcoming, less warm, and less humorous place without him. Visitation will be held at DeBaun Springhill Chapel on Monday, October 22, 2018 from 11:00 a.m. to 1:00 p.m. with services following the visitation, with Pastor Ricky Baez officiating. Online condolences may be made to www.debaunfuneralhomes.com.